People move through the streets, hoping to come across a family member, a friend, a neighbor, or even an acquaintance: someone to legitimize our claim to be among the living. We’re zombies until someone calls our name. The person no one has seen could well be dead. Meanwhile, that other person thinks you’re dead, though he hopes to see you alive. There’s no way of knowing where death was waiting when you were at that particular place. Some people did all they could to show up at the meeting. Others walked away from the fatal spot a few seconds before. And to think we had no idea we were playing heads or tails with our lives. I left Télé-Ginen to get back to the Hôtel Karibe by five p.m.—but it could have been the other way around. A game of musical chairs the entire city was playing. There were a lot more people than chairs when the music started. You had to find an empty chair when it stopped at exactly 4:53 in the afternoon. 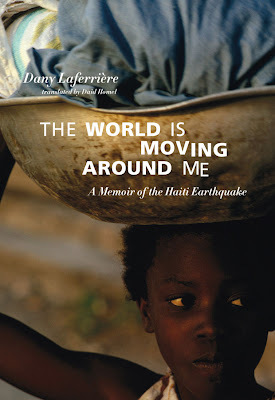 It would be impossible not to be moved by The World is Moving Around Me: A Memoir of the Haiti Earthquake (Vancouver BC: Arsenal Pulp Press, 2013), Montreal writer Dany Laferrière’s first person account of the January 12, 2010 earthquake in Haiti and its aftermath. When the earthquake struck, Haitian-born former journalist Laferrière had just ordered dinner in a restaurant in his hometown of Port-au-Prince, and he ends up note-taking observations of the following two days, before the Canadian embassy flies him back to Montreal. It is a terrible thing to see one’s own country torn apart, but Laferrière’s memoir, however brutal in description, includes incredible accounts of bravery, sadness, optimism and grief. Written in a sequence of short vignettes, The World is Moving Around Me is a deeply personal account of the tragedy, and the surrounding histories of Haiti, which I hadn’t realized I knew so little about. 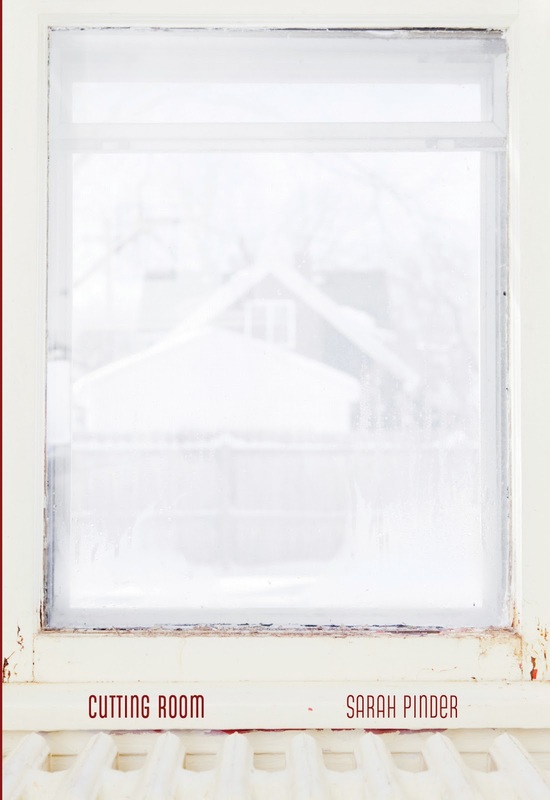 Laferrière writes about friends lost and found, and the heartbreaking tale of his friend Marcus, who loses his wife, but heads immediately back to work, to cover the story. Laferrière is adept at writing the tragedy in real time, exploring the way his countrymen weathered such tragedy with grace, and how international media held on too tight to the desolation, catching little to nothing of the spirit of the people. Translated into English by David Homel, who has translated a number of Laferrière’s fourteen novels, the book was originally published in French as Tout bouge autour de moi (Éditions Grasset et Fasquelle, 2011). The English edition also includes a forward by Michaëlle Jean, former Governor General of Canada and Special Envoy for Haiti for the United Nations Educational,Scientific, and Cultural Organization, herself Haitian-born. As Laferrière writes near the end, “I agreed to open up a little about what happened so that other people wouldn’t feel alone with their emotions.” Laferrière gives life and breadth to the tragedy the way few others could, given his knowledge of his homeland, providing an account that should be required reading. In the end, there never were those chaotic scenes that some journalists (but not all) no doubt wanted to see. I could just picture the front page of a major daily paper if looting really had broken out. And the televised commentaries from the instant experts about this barbarous country. Instead, people saw a dignified nation whose nerves were steady enough to resist the most terrible deprivations. When you understand that people were hungry long before the earthquake, you have to wonder how they managed to wait so calmly for help to show up. What did they live on during the month that preceded the distribution of food? And the sick who wandered the streets of the city without treatment? Despite all that, Port-au-Prince never lost its cool. We saw people standing in line, waiting for bottled water in the slums, the same districts that a few months earlier were considered danger zones where the government’s laws had no effect. So what happened? What can these changes be attributed to? Was this the shock the country was waiting for to wake up and halt its dizzying descent? We’ll have to wait a while longer to understand the true impact of such a tremendous event on the nation’s destiny. In the meantime, let’s enjoy the calm. Especially since we know that explosions of another kind (social, this time) are on the horizon. Given the status of Douglas and McIntyre over the past few months, his usual English-language publisher in Canada, is Laferrière’s shift to Arsenal Pulp Press a temporary one, or something more permanent? Arsenal Pulp has produced a graceful paperback, and one only hopes that more books between the two might be in the works. Near the end of The World is Moving Around Me, Laferrière does talk about the book he was supposed to be finishing, composing this one instead of working final edits to the manuscript of a book on writing: “Notes to a Young Writer in Pajamas.” One only hopes the translation is already well underway, and publication is already in the works. 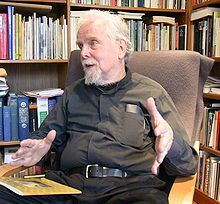 Sad news from the United States: Finnish poet Anselm Hollo died yesterday morning. Some Canadian readers might recall that the much-published Hollo, who lived in the United States from 1967 onwards, also published a chapbook with Nelson Ball's infamous Weed/Flower. I am very sad to have heard from Mark Johnson that Anselm Hollo died this morning. Those lines come from one of two poems from Anselm Hollo’s “Where if Not Here” we published in Samizdat back in the 1990s, and they capture some of my favorite things about Hollo’s viewpoint: his lack of pretense, and his complete disregard for the laurels, prizes, and jockeying-for-position that had already become endemic in the little demimonde of American poetry. Hollo’s grasp of the gulf between the sublimity of which poetry is capable, and the absurdities into which poets fall in pursuit of that chimera, a “career in poetry,” made him the ideal person to hold the title of United States Anti-Laureate, to which he was elected by the Buffalo POETICS list back at the turn of the century. The announcement from the POETICS listserv follows. We’re sure many remembrances will be flowing in, which we’ll post on as they post. Until then, we’ll leave off with these poems from the April 1967 issue of Poetry, and these from the January 1969 issue. Hollo will certainly be missed by many. Kevin Varrone is the author of g-point almanac: id est (9/22-12/21) (Instance Press), g-point Almanac (7/21-9/21) (Ixnay Press) and g-point almanac: passyunk lost (ugly duckling presse) His poems have also appeared in numerous print journals and online, including 6x6, Big Bridge, Cross Connect, the ixnay reader, volume 2, American Poetry Review: The Philly Edition, and Duration Press's ebook series. With poet Pattie McCarthy, he edited and co-founded Beautiful Swimmer Press. 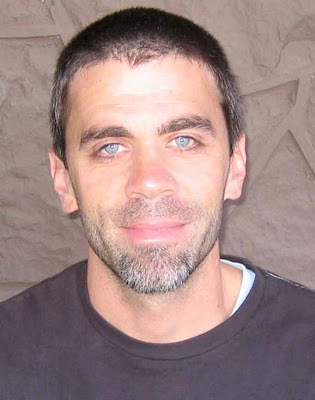 He currently lives in Philadelphia, where he teaches literature and writing at Temple University. My first book changed my life in that it seemed to make official--for me--writing as a vocation. I would say profession, but there was no money involved, which seems to be part of the definition of professional. I’ve been working on a four book project for over 10 years--three of those books are completed and have been published--so there’s a continuity across those poems. More recently, I think my poems are becoming a bit more lucid or articulate, maybe. Having kids has made me look at experimentation a bit differently: as a way to access things, I think, whereas previously I think I used it more to hide things. So I hope my more recent writing is a bit more open in some way. There’s some part of me, however, that feels like I write the same poem over and over, trying futilely to get it right. I think that’s a George Oppen idea I’m mangling there. I didn’t, really. I came to short fiction first, under the spell of one of my undergrad teachers, the amazing novelist Joseph McElroy. Even now, story is always there, like a god: whether I believe in it or not, I’m always grappling with it, running toward it or away from it. Or both. If I had the skills, I’d likely write similar to someone like Laird Hunt, in his marvellous collection The Paris Stories. Starting usually comes fairly quickly; things just kind of sneak up on me. But I’m terribly slow after that. And I’m an unbearable tinkerer. Someone once said to me that nothing is ever done--I can’t remember who--and I seem to have swallowed that wholesale. I feel the need to perpetually apologize to all the great people who’ve published my writing & had to suffer through this trait of mine. Very often things start with a phrase for me--some interesting fragment of language I come across. On occasion, larger book ideas take shape from things I’m reading. Something I’ve recently “finished” (see previous question) came out of reading Maggie Nelson’s Bluets and Kate Greenstreet’s The Last Four Things back-to-back on trains to and from work. I love doing readings. For me, they are a kind of ultimate test of the language of lines of poems (vs. the ideas). Standing in front of a room full of people makes me hear things in a way I can’t simulate any other way. I have to admit, I’m not much of a theory person. Certainly not consciously. And I never really try to articulate whatever theoretical concerns I happen to come upon. I often think it’s a limitation--my lack of theoretical underpinnings--but it’s a language that I don’t quite ever seem to know how to think in or speak. In lieu of a genuine answer I will offer a paraphrase from David Markson’s novel, Wittgenstein’s Mistress. The narrator, herself an artist, says something like, I realized that I could sooner imagine living in a world without people than I could imagine living in a world without art. The universe and all its zillion components produce energy and need to do something with that energy. For me, writing is that thing. Whitman’s “barbaric yawp,” maybe, which I believe keeps the world from being barbaric. The day after the shooting in Newtown, Connecticut, I took my son to his first movie-theater movie: Spike Jonze’s adaptation of Where the Wild Things Are, which broke my already-broken heart that Saturday, because it’s gorgeous and seemed entirely to be about the universal need to do something with the energy generated by being alive and having experiences. And the need to have people with whom to share those things. I find it essential. I’m an advocate of thinking, so two heads are always better than one for me, even if that can be difficult at times. I’m paraphrasing again, but recently I heard Marshall Allen, a long-time member of Sun Ra’s Arkestra talk about practicing and playing a piece over and over for Sun Ra and how Sun Ra told him that he’d mastered the piece but hadn’t found the spirit in it. Ra told him to just play it, to feel the music and find the spirit. Not easy at all. I’m terrible at critical prose. As a reader I’m like a kid in the front row getting sprayed with band sweat. I fall in love with poems and poets and I’m rubbish critically. In classes I teach I often find myself summarizing or paraphrasing critics who are much smarter than I am, and then I bludgeon my students with long discussions about punctuation marks and single word choices. Alas. Since having kids, I have both less of a routine and more of one, by which I mean that the days of reading for hours and then writing and then watching multiple episodes of Deadwood or The Wire are largely gone. But I’ve become much more efficient in terms of using time, and whenever time becomes available, I tend to set it aside for writing, which is great, even though my house is often in a shambles as a result. Walking. My wife gave me a medal with a labyrinth cut in it and it says, solvitur ambulando (“it is solved by walking”). I think that’s written in my DNA. And always to books, as predictable as that is. Different ones, depending on the state of things. If I grab If I grab Fernando Pessoa’s The Book of Disquiet or Evan S. Connell’s Notes Found in a Bottle Left on a Beach in Carmel things are getting bad. Science, even though--or perhaps because--I’m a simpleton when it comes to science. I am awed by science and by language, so the former often leads me to the latter. And both cause confusion, which is always generative for me. There are scores of contemporary writers--especially the current bumper crop here in the Philadelphia area, where I have the great pleasure of living and writing and being among these great and varied folks. George Oppen is always important to me, as a kind of elusive spirit. I can feel the flood gates of names flying open, and I don’t want to bore people, so I’ll stop there. If we’re talking semi-realistic, I would love to own a food truck. If I hadn’t become a writer I would likely be a New York City Police Officer. It’s kind of the family business. (Though unlike my forebears, I would have been terrible at it). Confusion and shyness. And that sense, like a lot of other people have, that there must be another way to live. I can’t even recall the last non-kids-movie I saw, so I ‘ll have to beg off that part of the question. Kate Greenstreet’s The Last Four Things totally blew me away. Still does. I read it for the first time in the Fall. As far as writing goes, I’m finishing up a manuscript made up of two long-ish poems, one sort of about stuttering--but really about articulation, I guess. And the other is about hearing--about memory--and it thinks about the ear and its capacities, and sound as a kind of image and something that moves me. Way over there in Switzerland, Susana Gardner was good enough to post my second annual "'best of' 2012 Canadian poetry books" over at the dusie blog, and, closer to home, Eric Hill was good enough to publish my "'best of' 2012 Canadian chapbooks" list on the Branta blog. Check them out! Plenty of titles worth reading and rereading. derek beaulieu does annual lists too, which are worth looking at. See his third annual "most engaging books" list here. I seem to be on a few lists as well, all by Amanda Earl: 'best of 2012: poetry," "best of 2012: chapbooks," and "best of 2012: sexiest ottawa poets" (Christine is also on all three lists). Thanks, Amanda! 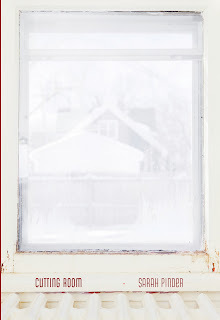 My review of Sarah Pinder's Cutting Room (Coach House, 2012) is now online at Prairie Fire Review of Books. The Weirds acquired their surname through a series of events that some would call coincidence and others would call fate. Sterling D. Wyird, in the process of emigrating from England to Canada, worked his way across the Atlantic aboard the Icelandic fishing trawler Örlög. Inclement weather and empty nets made the six-week journey three months long. When Sterling finally stepped onto the freshly built planks of Pier 21 in Halifax he presented his papers to an immigration guard who, just that morning, had met the woman destined to be his wife. This guard, in a stroke of either inspiration or absent-mindedness, changed the y in Sterling’s last name to an e. Seventy-seven years later, as his great-grandchildren gathered for the final game of their high school football team’s season, the spelling mistake remained. 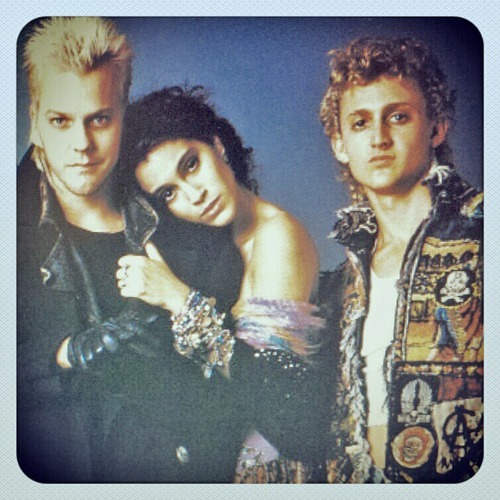 They were still Weird. Whereas I hadn’t previously heard of his second novel, The Tiny Wife (Madras Press, 2010), I am an enormous fan of the fiction Toronto writer Andrew Kaufman has previously published, including his first novel, All My Friends Are Superheroes (Toronto ON: Coach House Books, 2003) and The Waterproof Bible (Toronto ON: Random House Canada, 2010) [see my review of such here]. There is just something in how Kaufman manages to write tender stories of family chaos and conflict merged with elements of fantasy that is entirely rare in fiction. No matter how outlandish and oddball his characters or plots might become, they all become a means to an end, focusing stories on what the heart wants. I’m constantly amazed at the ease in his writing, and how easily his stories begin; his humour, and incredible concepts. 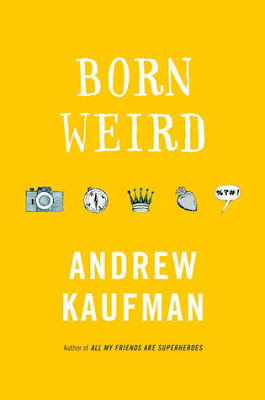 In Born Weird (Toronto ON: Random House Canada, 2013), we are introduced to the five Weird siblings: Richard, Abba, Lucy, Kent and Angie, as well as their grandmother, Annie Weird. As Annie lay in her hospital bed, she convinces her granddaughter, Angie, to visit and admits to bestowing each of the children a power at birth, each of which has become a curse. She gives Angie a quest: to reunite all five siblings in less than two weeks, the day Annie claims she is going to die. If all five children are in the room when she dies, the curse on each will be lifted. What makes Kaufman’s stories so compelling, in part, is in the kind of physical and emotional detail he adds to give his characters breadth, and the ways in which we see the often very real results of such small decisions. Kaufman’s characters understand consequence, sometimes in such a real way that it becomes overwhelming. They understand consequence, and real loss. In such short spaces, he brings entirely to life the emotional turbulances, nuances and contradictions of family relations, and, despite sparing little detail, we aren’t overwhelmed by irrelevancies. The only information brought to the page are the essential ones. In 1963 Angie’s grandfather Samuel D. Weird founded the Grace Taxi Service. He named the enterprise after his mother. When Besnard took over the business, in 1982, it had grown into the second largest fleet in the city of Toronto. Over time Besnard developed many theories about taxis. For one, he believed that you should make a wish while hailing a cab. If the first taxi that passed by stopped and picked you up, your wish would come true. He also felt that every taxi ride was metaphorical—that it could be interpreted, like tea leaves or the lines in your palm. But his most firmly held theory was that your choice of taxi was a reflection of how you saw yourself. Of all his theories, this was the one that had been most firmly passed on to his children. “No visible dents or scratches,” Angie said. She circled the cab slowly. “I would have liked a newer model,” Angie said as she came back around to the back passenger door. “Okay, let’s take it,” Angie said. She slid into the back seat. “To the airport,” she told the driver. From the three I’ve now read of his works, Kaufman seems quite attracted to the idea of the quest, of someone who is lost that needs to be found, and of transformative power of airplanes (specifically the non-stop Vancouver-Toronto flight, which, heading in the opposite direction, featured heavily in All My Friends Are Superheroes). The novel moves with an ease, an entirely natural flow, given the strange twists and turns through the plot of Angie Weird’s quest to reunite her four siblings together in their grandmother’s hospital room within two weeks. The only turn that felt odd was once their main quest had finished, near the end of the book, and the sub-quest began, being the quest to end the main quest. The transition between the end of their grandmother’s quest and the final passage through the plot felt strange, and nearly tacked-on. Otherwise, this was a magnificent novel, working through Kaufman’s fascination with family relationships and their long-standing conflicts, quests, redemptions and air travel. Where might he go next? American publisher Sacrifice Press was good enough to produce a chapbook of my short, short stories, The Uncertainty Principle: stories, (from a larger manuscript of the same title; see a number of stories from the work-in-progress here). Pick one up! Beatriz Hausner’s poetry books include: The Wardrobe Mistress (2003), Sew Him Up (2010), Enter the Raccoon (2012), La costurera y el muñeco viviente / The Seamstress and the Living Doll (Spanish translation by Julio César Aguilar, 2012), and these chapbooks: Poetisa con balcón y vista al mar (1984), The Walking Suitcase Poems (1986), Towards the Ideal Man Poems (2003), The Stitched Heart (2004), The Archival Stone (2005) and De ideale man gedichten (Dutch translation by Laurens Vancrevel, 2010). Beatriz Hausner is a prolific translator of many works of literature, including the poetry of César Moro, Rosamel del Valle, Mandrágora, Olga Orozco, Enrique Molina, Abigael Bohórquez, the prose of Alvaro Mutis and Aldo Pellegrini, among others. She lives in Toronto. My first “real” book of poems was The Wardrobe Mistress (Ekstasis, 2003). It came after I had published many books, all translations of truly great poets. Certainly, at a very personal level, it felt a bit miraculous. I kept looking at that physical object and thinking how unbelievable it was that I had actually written something of my own. It felt radically different to be speaking in my various voices, and not through the voice of others, as if a ventriloquist. In my most recent book, Enter the Raccoon I deliberately break away from all my previous writing. Chance had a lot to do with it. Chance and the determining factors of upbringing: I grew up in a home of visual artists and a poet, so my choice was, rather, between the visual arts and poetry. Later, as I explored writing in a more direct way, I discovered how much I value and enjoy essay writing. Some projects come fully formed, or almost so, at least as conceived in my mind. Others take a long time to gestate, years, even. Sometimes the writing happens as if in a trance, quickly, directly. Other times I have a concept in mind, or a set of words, and I surrender to the associations my mind conjures. I mostly consider the first writing to be a draft that will undergo many, many alterations, regardless of the manner in which it initially came about. I very rarely feel that a poem is finished at the first, although the miracle has happened. I enjoy working with language, its inner structure, taking the thing apart and reconfiguring the various constituents, like an immense collage that takes shape kaleidoscopically. Very often, I fear that in the process I may destroy the whole thing, end up with nothing. It’s a risk I sense I must take, because what obsesses me is the process of transformation that takes over. Sometimes a poem will make itself heard, appear, and that poem will give naissance to a larger project. Other times, and this is what is now most often the case for me, I will conceive of a set of images around an idea in my head and begin working on its parts. The strangeness of it is that these parts rarely end up coming out the way I initially envisioned them. I enjoy doing readings, yes. I find the experience stimulating. However, readings in and of themselves rarely influence my creative process, which for me is driven by sensations and visions born in private and contemplative moments. When I started out writing in my twenties, it was different: my observation of others in social contexts, my own interaction with people often triggered the poetic impulse. I suppose my work adheres to the basic principles of surrealism, namely the achievement through poetry of a kind of freedom of the mind, where the barriers are broken down, in order to be in a space that is truly open, infinite in its possibilities. I don’t necessarily use the “traditional” techniques espoused by the first surrealists, such as automatism. Rather, it is a combination of means, which are entirely at my disposal. At its most basic, the role of the artist, of the poet is to create and to explore other spaces for the mind. It sometimes feels impossible to fulfill this role, so many are the impediments imposed by society for the liberation of the spirit. In this regard, I believe the role of the poet is that of a revolutionary. I have had the good fortune of working closely with A.F. Moritz, first by collaborating with him in translation, and, since the 1990’s, when I began to write my own poetry, with Al being the best guide I could have wished for. His keen ear for voice and structure, his understanding of my poetics, his incredible depth of knowledge, these have proven invaluable to me. When I started working on translation, Ludwig Zeller, my step dad, advised: “Write the first draft as perfectly as you can, use that first impulse to make the text as finished as possible.” He meant for me to use his advice for translation only, but since then I have applied it to all my writing: I put my everything into that first effort; I try to apply great concentration of emotion and openness of spirit. I don’t always achieve the desired result, granted, but it works for me as a guiding principle. I started out as a literary translator. I have translated a lot of wonderful poetry, by poets of such caliber, that for years I felt too awed in their company to actually write. When I did take the plunge, when I began to write poetry of my own, I had to stop translating other people’s work altogther. I just couldn’t do it. All those voices were inhibiting. Now it is different: I have no trouble moving from one genre to the other. In fact, I find the process enriching and inspiring. The only poetry I am completely unable to translate is my own. I listen to music, always very loud, and I turn to writers whose work I love, like César Moro, César Vallejo, and Classics, like Ovid. I also read a lot of non-fiction. I am always looking for the strange and unexpected in everything around me. From all these, I take strands, sounds, sensations, images, little bits and I riff off them. Eucalyptus and orange blossoms remind me of my childhood in Santiago, Chile. While it is true that the writing of others influences my work, I can safely say that the greatest impact on my poetics is and will always be music, clothes, visual images. These excite me and open up the senses for me. There are so many... Some appeal, or fulfill some aspect of my person and my imagination, while others have been determining forces in my formation as a writer. I can think of the early readings of novels by the Bronté sisters, or novels like Don Quixote, the fiction of Alvaro Mutis. I sometimes revisit the fiction of Matt Cohen; Gaston Bachelard’s writings also. I love Antonin Artaud, Robert Desnos, André Breton and other surrealists from that first generation. There is a book I often return to, titled Revolutionaries Without Revolution, by André Thirion. I love, love, love the poetry of César Moro [did I mention him already? ], Enrique Molina and Rosamel del Valle. I would like to write a book of poems that could represent our age in a new way. Of course, it’s an unattainable, hence absolute, goal. I would probably have chosen to be a designer. I suppose it was a profound need to find a place where I could BE in the world more completely. I just finished Elisabeth Roudinesco’s Philosophes dans la tourmente, a book of essays about six French philosophers, including a fantastic piece on Louis Althusser. As to films, the best one of late is Tinker Tailor Soldier Spy, directed by Tomas Alfredson. And I really liked a documentary, ostensibly about the sale of Yves Saint Laurent and Pierre Bergé’s collection, titled Amour fou. I’m working on several projects currently, including a book of elegies and a book where I “illustrate” visual works by artist friends. 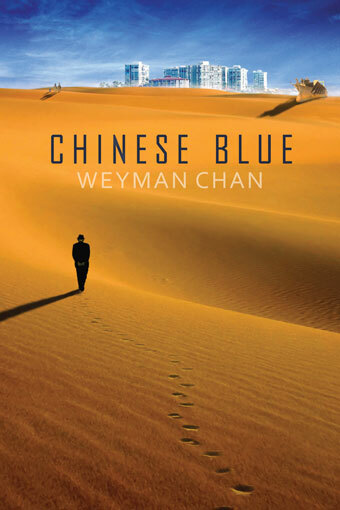 My short review of Calgary poet Weyman Chan's fourth poetry collection, Chinese Blue (Talonbooks, 2012) is now online at Arc Poetry Magazine. Mary Austin Speaker is the author of the chapbooks The Bridge (Push Press 2011); 20 Love Poems for 10 Months (Ugly Duckling Presse 2012); a play, I Am You This Morning You Are Me Tonight, written in collaboration with her husband, poet Chris Martin; and Ceremony, winner of the 2012 Slope Editions book prize. 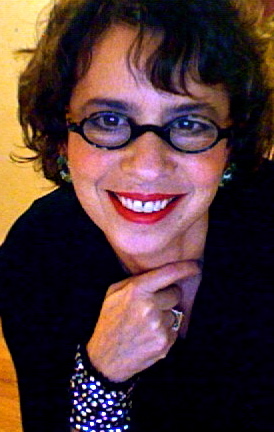 She co-founded the Triptych poetry reading series in New York City in 2008 and curated the Reading Between A&B series for several years. New poems have recently appeared in epiphany; Boston Review; Lungfull; Jubilat; Forklift, Ohio; and elsewhere, and her critical work can be found in Pleiades, The Claudius App, and Painted Bride Quarterly. 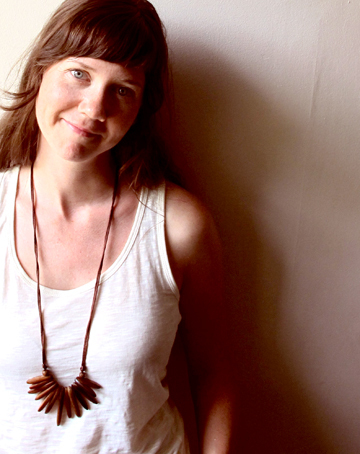 She lives in Iowa City, where she operates a tiny design studio. Before I was published by a press, I self-published two "chaplets"— between five and ten poems bound together into a book. I am a book designer by trade, and I wanted to distribute something of my work, so I made these little editions. One was called In The End There Were Thousands of Cowboys (about a cowboy), and the other was called Abandoning the Firmament (about an astronaut). I was for a long time writing about archetypes. I was interested in the narrative shadows that can be cast by a profession, especially those professions we regard as necessarily heroic. I wanted to disturb that notion. These poems haven't been collected yet, but I'm working on a third manuscript called The Universe Is Shaped Like A Saddle that contains those poems and perhaps a suite of poems about a soldier. The chaplets both sold out fairly quickly, which gave me a boost of confidence about approaching publishers, and then my friend J Grabowski, one half of Push Press, suggested publishing a suite of the poems I'd been writing while I was on the Manhattan Bridge between Brooklyn and Manhattan. Big Bell, a wonderful journal that Push Press publishes out of San Francisco, had published a few of the Bridge poems and liked them very much. I was thrilled to have Push get behind the work— they've published Cedar Sigo, Patrick James Dunagan, Micah Ballard, Jason Morriss. Their books tend to be handmade and very beautiful. It was a great big gift to be published by Push, and I was very pleased to find that lots of people wanted the chapbook and several strangers contacted me to purchase copies after hearing about it or hearing me read from it. The opportunity to correspond with people I knew only through my poetry was really enlivening. It seemed like that book touched a lot of people, and that felt a little bit like I'd been waiting for it to happen my entire life. That came out in October of 2011, and sold out fairly quickly as well. The next chapbook, 20 Love Poems for 10 Months, was published by Ugly Duckling Presse about a year later, which you have reviewed. This was the first time a really visible literary press had ever published my poems, and it felt very serious. My husband Chris Martin published a chapbook with UDP in the same season, so that was a great cause for celebration. We both love the look of Ugly Duckling Presse books— I remember first encountering their work at a Whitney Biennial and thinking, wow, books can look like this? I couldn't be happier to be included in their catalog. My editor there, Katherine Bogden, designed the cover with the type treatment I had submitted for the title in place, and she was wonderfully open to collaborating with me on the design. My first full length collection, Ceremony, won the Slope Editions book prize and is due out next month. I don't think my life will be very different, but I'm very thankful to be participating in the larger conversation about poetry by dint of having published a full-length book. It's been great to hear people respond to the chapbooks, and I can't wait to hear what people have to say about the full-length. I was just as dedicated to fiction as I was to poetry for a few years, but I found I didn't have the patience for revising short stories (nor did I have particularly good ideas for fiction). And I think the fiction I'm drawn to tends to be darker— southern gothic writers like Flannery O'Connor, absurdist contemporary writers like Amanda Davis and George Saunders. It's hard to make room for joy in there, to examine it and hold it up to the light. Poetry suits my temperament and attention span better, but I do occasionally write essays. Some subjects lend themselves to greater length, more strenuous research, and the long and winding path that essays can take. I'm a great admirer of Eula Biss, Nick Flynn, Claudia Rankine, John Jeremiah Sullivan, and hope to stick to one subject long enough to publish essays more frequently. It depends on the piece. Usually the longer poems demand more rigorous editorial attention. The shorter (1-2 pages) pieces tend to emerge more or less fully formed, but I'll usually go back and tweak linebreaks and word choice to bring out the music and meter. I wrote the entirety of 20 Love Poems for 10 Months in the back of a car over a period of two weeks. It was edited a little bit, but those poems maintained, for the most part, their original shape. I write both ways. 20 Love Poems was conceived as fully-formed project before I began it. I woke up with the type design for the title in my head and decided I had to write 20 poems to go with the design. These were given to my husband, Chris, on the night he proposed to me. It was all very romantic. That said, 20 Love Poems was folded into Ceremony, which is comprised largely of poems I wrote at very different times and collected into a book later, once recognizable sections began to cohere (20 Love Poems appears as a section called To Inhabit). Most of those poems (with the exception of the section You Can Have It All, which originated as varations of a cut-up letter) seemed like one-offs, but then I began to notice commonalities and discovered I had finally written a body of work that thematically held together. I wrote another book in one fell swoop—The Bridge chapbook is part of a larger group of poems I wrote when I was living in New York and knew I'd be leaving that city after about ten years. I decided I wanted to commemorate my time there somehow. I was struggling with a dedicated writing schedule, and having just moved in with Chris, who has a fantastically disciplined work ethic when it comes to writing, I was inspired to write a poem each time I crossed the Manhattan Bridge, which I did on the subway each time I went to work and each time I came home. This meant I accumulated a lot of poems very quickly, and because the poems were written in the same space, at roughly the same times of day, the imagery from poem to poem binds the group together. And I chose a form that used the same first and last line, so formally the poems are very similar also. I do enjoy giving readings. For many years I ran a reading series in New York, and after about three years of doing that I finally lost my nervousness about speaking in front of people, and began to really appreciate the work that some poets put into performing their work. I don't mean performing in the sense of being demonstrative, I mean performing in the sense of being concerned with reading the poems well. Sometimes this means providing some helpful context for the poems, sometimes this means simply reading the poems with a voice that is so deliberately quiet and determined that the entire room pays attention. Kate Greenstreet reads this way, as does Katherine Pierce. You can hear a pin drop when they read. Chris is a fantastic reader— he often gives his audience multiple inroads to his work before he begins a piece, and this makes the audience comfortable, welcomed. I think it's important to extend yourself to your audience. It builds community. Those are all such big questions! I think each writer has his or her own set of concerns. I'm interested in how national identity affects our individual notions of civilization, and how narrative comprises the nature of our national identity. I'm also interested in what an animal is, and how our sense of togetherness shifts as we move from city to city to country and back and what we leave in our wake. What are we together with? 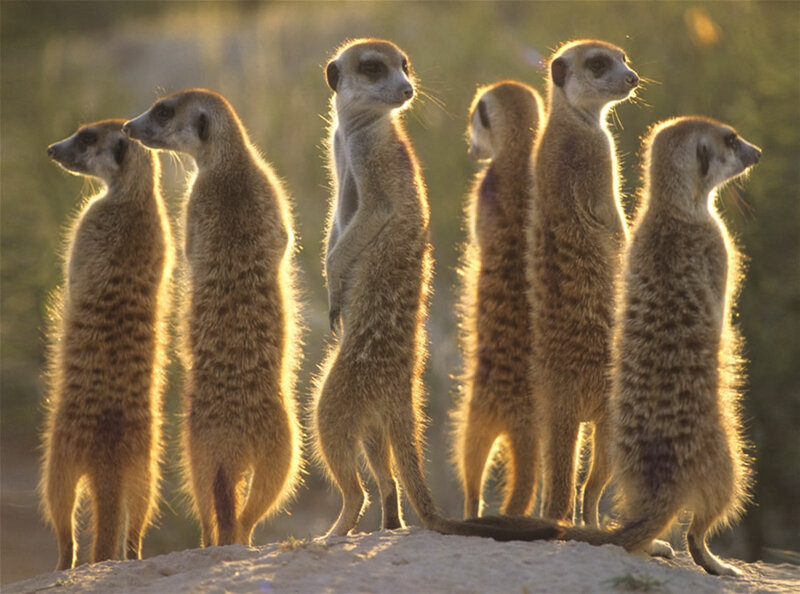 How does togetherness happen and what can it do? I'm definitely more interested in the social than the personal, but the personal will always be my conduit to the social, so I do like to address both in my poems. I think poets are well suited to address social phenomena, and I think many have done so with more grace and room for mystery than prose allows. I don't necessarily think it's our responsibility to do so, but that's certainly where my interest lies. I do think poetry can be considered a barometer of the moral conditions of a culture at a given moment, so I think about that when I'm writing. I want to offer my readers complexity and depth. Walt Whitman, George Oppen, Hart Crane, Muriel Rukeyser and Gwendolyn Brooks all directed a great deal of their attention to social phenomena. That is the poetry that I want to emulate (why not aim terribly high?). I'm very interested in poets who work that way today— Anna Moschovakis, Kevin Prufer and Dana Ward come to mind, each of them exploring in earnest some not quite understood social phenomenon. None of these poets approach poetry with a predetermined message. They are not didactic. Their work leaves the reader with big, generative questions and a feeling of having experienced something very complex with the writer— this is I think the mark of great poetry. This may surprise you given that you've read only my love poems, but I think a great deal of social phenomena is rooted in love and its antithesis. Who doesn't want to be loved? I wouldn't say essential, but it's certainly helpful. Editors can offer an eye toward consistency from poem to poem that I'm not likely to bring to my own work. Evan White at Slope was wonderful to work with in this respect. Don't let yourself off the hook. Write when you say you're going to write. 10 - How easy has it been for you to move between writing and design work? What do you see as the appeal? I see design as a heterogenizing force for my own work. I'm happiest when I'm engaging with work that I wouldn't necessarily know about, and design offers me many opportunities to sit with unfamiliar work for long periods of time. Doing this helps me to get new ideas as well as to react toward or against things I encounter as a designer. Sometimes I am profoundly influenced by poetry that I've typeset. For instance, I worked with Jen Bervin on a project that involved creating tiny digital reproductions of Emily Dickinson's fragments. Spending so many hours with Emily Dickinson's voice definitely left an imprint on my writing. I have always appreciated her work, but there was something about seeing her manuscripts that offered me a new way into her voice. I typically write at night, so my daily routine mostly involves design or review work. I make notes in a notebook whenever I can, especially at readings, and I try to carve out three or four hours of unstructured time one or two evenings per week and this usually gives me enough room to process the bits I've been collecting. I get fidgety when I don't get an evening or two every week. I read as much as I can. Chris and I have a subscription to Ugly Duckling Presse, so there is always a ready stack of good work nearby. I research— many of my poems are rooted in what I might call nonfiction concerns. I'm interested in tidal patterns, for instance, and primates, and the effects of space travel. I find if I read enough about my interests, little details will work their way into my poems. And I usually have one book on my bedside that I'm reading aloud for a few pages just to hear the sounds of the sentences. Right now it's Virginia Woolf's The Waves. Nature is a primary source of inspiration for me. Science has certainly found its way into my poems. Music is something I consider a part of poetry, and I've written a few poems inspired by particular pieces. Visual art is not something you'll find in my work very often (except for film), but I am very engaged with it. I think what some contemporary visual artists are doing is a decade or two ahead of poetry (and many other disciplines), so I guess you could say I try to pay attention and keep up wherever I can. There are too many to name! My husband, Chris Martin, is immensely important to my work. He taught me more about the line than anyone. I follow the work of Peter Gizzi, Anna Moschovakis, Eula Biss, Matthea Harvey, John Coletti, Dana Ward, Susan Briante, Farid Matuk, Anne Carson, Macgregor Card, Joseph Massey, Dean Young, Amanda Nadelberg, Brandon Brown, Ted Mathys, Sara Jane Stoner, Matt Hart, Dan Poppick, Margaret Ross, Mary Hickman, Cathy Park Hong, Amy Lawless, Russell Dillon, and many others. See also my answer about the role of the poet in the larger culture (#7). Those are poets I return to over and over again. Live on the west coast for a little while. Poetry gives me a kind of shiver that nothing else does. Film comes close, but I've never had the stomach for the expense and busywork incurred by making films myself, though I do love to watch them. I've always appreciated that poetry's economy is almost entirely non-monetary, and the ethical, tonal and practical implications this holds for its aesthetics and content. I'm always in the middle of three or four books at a time, so that's a difficult question. I recently designed Robert Hass's excellent collection of essays, What Light Can Do, and highly recommend that, as well as Dana Ward's new book from Futurepoem, The Crisis of Infinite Worlds, which is really fantastic. But to be a bit more articulate, I think the book I felt the most excited and bewildered by in recent memory was Farid Matuk's This Isa Nice Neighborhood. I reviewed it for Painted Bride Quarterly. As for film, I recently saw Hunger, the British film directed by Steve McQueen, for a second time, and had the good fortune to discuss it afterward with several poets who all had very strong reactions to it. It's just as visually arresting as it is thought provoking, and it's quiet, brutal and beautiful all at once. Its scope feels much larger than the film's narrative. And I am one of those people who absolutely adored The Tree of Life, though I know not everyone liked it. It helps if you're from Texas. I'm currently working on refining my second book, The Bridge, and finishing a third manuscript, The Universe is Shaped Like a Saddle. Thank you for the opportunity to speak, rob!